It’s the night before Christmas and this creature should not be stirring but alas, here I am wrapping last-minute gifts and of course I ran out of holiday gift wrapping paper. 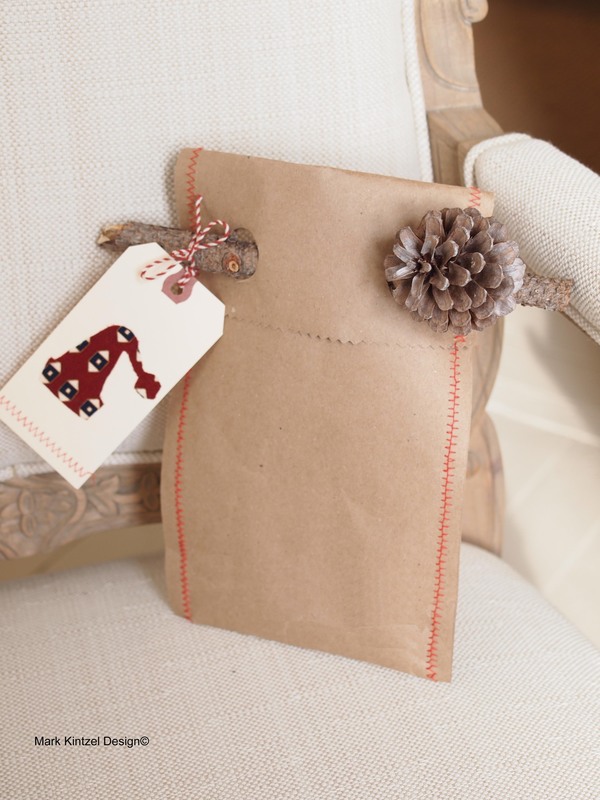 No worries, with a roll of craft paper and a sewing machine, I whipped up these cute little paper gift bags — perfect for anything that will fit into a gift bag! What’s great about these is you can customize the size to the gift and you can use any type of paper — newspaper would look awesome too! Cut a section of paper to accommodate the gift it will hold. Then fold the paper in half and using a sewing machine, run a seam up either side. Using a pinking shears, cut a decorative edge where the opening of the bag will be. Make a flap (like an envelope) by folding over the top edge of the bag. Using a hole punch, make two holes directly through the folded over flap. 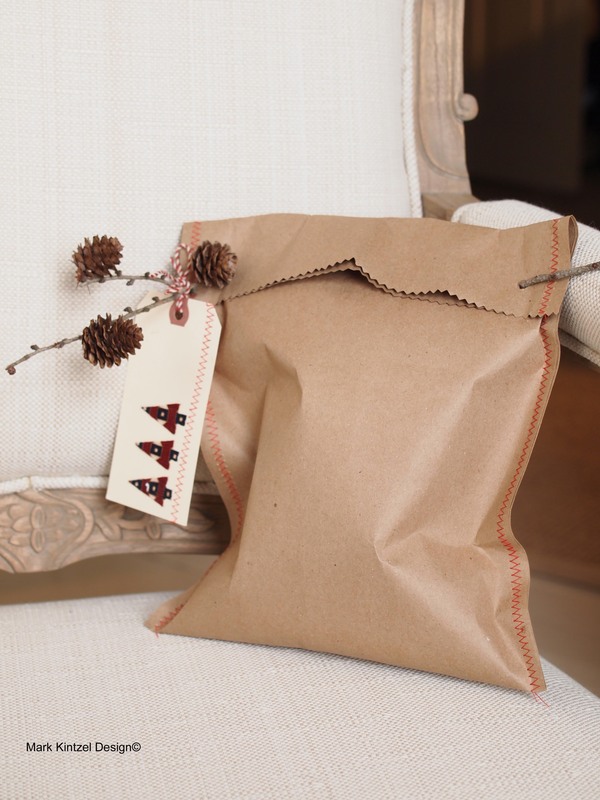 This step allows you to insert the twig which will act as the seal for the gift bag. Adorn with a gift tag, like my men’s necktie holiday tags (follow these instructions) and your done! It’s easy, original and fast! Happy Holidays crafters!!! !